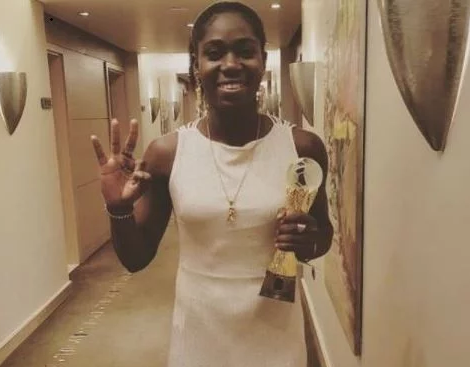 Super Falcons of Nigeria forward and Dalian Quanjian FC footballer, Asisat Oshoala, went home with her third award at the 2017 African Footballer of the Year award ceremony which held in Ghana last night. The 23-year-old who won her third female African Player of the Year award was filled with emotions while giving her acceptance speech. “But I told myself that I can do this. 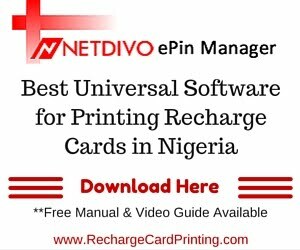 And I think I have done it,' she added. Asisat who completed a hattrick by winning the award three times in a row gave this advice to young African Girls. 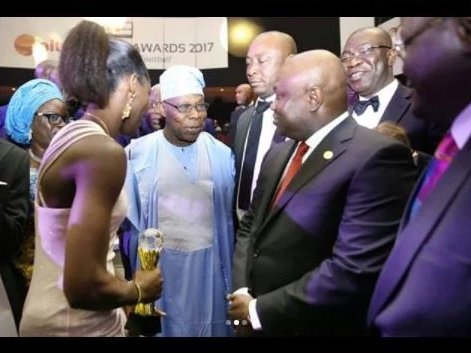 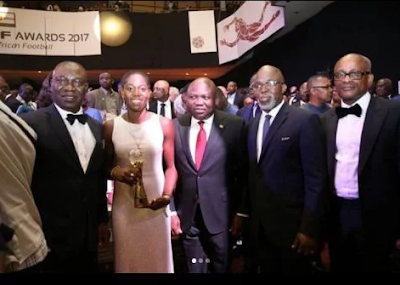 The powerful striker who was pictured with NFF boss, Amaju Pinnick, Governor of Lagos State, Akinwunmi Ambode and former President Olusegun Obasanjo at the event, also showed off her third award via Instagram.